In what seem to be an end to the tussle between Ecobank Plc and Honeywell Group, the Supreme Court of Nigeria, on July 13 2018, ruled out Ecobank’s appeals against Honeywell for frivolity. In a mutual agreement made by judges of the Supreme Court. 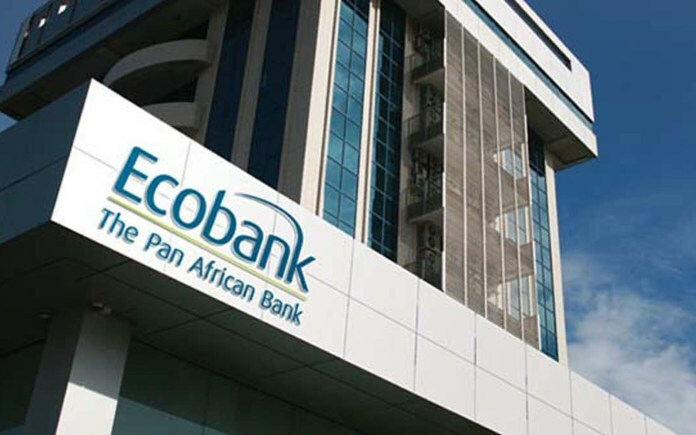 According to a released statement, the judges made known that Ecobank’s appeals lack merit. There has been an ongoing legal battle between Ecobank and Honeywell for the past three years over unpaid debt of N5.5 billion by the latter. While Ecobank is maintaining that Honeywell is indebted to it to the tune of the aforementioned money, out of which N3.5 billion had been paid, Honeywell claimed to have paid the debt in full. In the wake of the legal tussle, Dr Oba Otudeko, Honeywell Group chairman, had told a Court of Appeal that the sum was owed individual companies. These companies include Anchorage Leisures Limited, Siloam Limited and Honeywell Flour Mills Plc. Otudeko maintained that his companies had paid N3.5 billion as at December 12, 2013 as the full and final payment for the N5.5 billion debt as agreed by the parties at a July 22, 2013 meeting. “THE PLAINTIFFS WERE INDIVIDUAL CUSTOMERS OF THE DEFENDANT AND HAD PERSONAL OUTSTANDING EXPOSURES TO THE DEFENDANT.” – OTUDEKO ADDED. Ecobank has however, refused to yank-off Honeywell Group’s name from its debtors’ list. Ecobank also threatened to publish Honeywell’s name as a chronic debtor. On Wednesday, July 13, 2016, the Court of Appeal had issued rulings against Ecobank which the bank thereafter appealed at the Supreme Court. In suit No. SC/402/2016, Ecobank had appealed the decision of the Court of Appeal discharging the exparte injunctive/asset freezing orders which it had obtained against Honeywell. Also in suit No. SC/406/2016, Ecobank had appealed the decision of the Court of Appeal which had affirmed the jurisdiction of the Federal High Court to hear the suit filed by Honeywell Companies. The Court of appeal had also ordered accelerated hearing of the suit at the Federal High Court and Ecobank also challenged this ruling at the Supreme Court. “IN DELIVERING JUDGMENT, THE JUSTICES OF THE SUPREME COURT REPRIMANDED ECOBANK FOR WASTING THE COURT’S TIME BY FILING APPEALS WHICH IT DESCRIBED AS FRIVOLOUS, PARTICULARLY IN LIGHT OF THE MYRIAD OF CRITICAL MATTERS BEFORE THE APEX COURT. Meanwhile, a Federal High Court, on February 6 2018, stayed further proceedings of the suit filed by Ecobank. The decision to suspend the proceeds, according to trial judge, Justice Mohammed Aikawa, was to avoid the creation of a judicial anarchy.